Malaria is a leading cause of death for children living in Sub-Saharan Africa. Many children in rural areas seek care at local community health clinics, but these clinics lack reliable tests to distinguish severe and uncomplicated malaria. Working at a health center in rural Uganda, researchers from the University of North Carolina at Chapel Hill demonstrated for the first time the potential of using a low-cost, routinely available rapid diagnostic test to detect severe malaria in children. These findings were published in the journal Clinical Infectious Diseases. "In many areas of rural areas of sub-Saharan Africa, malaria is inevitable. Children will be infected," said Ross Boyce, M.D., MS.c., study author and a fellow in the UNC Division of Infectious Diseases. "Ensuring that those with the most severe form of the disease are quickly identified and treated, even when hours from the nearest hospital, is critically important to reducing the number of deaths." Over a period of six months, a total of 2,678 children with fever underwent testing for malaria using a rapid diagnostic test at the Bugoye Level III Health Center in the Kasese District of Western Uganda. Nearly half tested positive for malaria and 83 satisfied criteria for severe malaria. The sensitivity and specificity of the rapid diagnostic test for detecting severe malaria was 97.6 percent. The test was especially sensitive for children less than 5 years of age. Knowing when a child is suffering from severe malaria allows for a referral to a health center better equipped to handle the disease's grave manifestations. 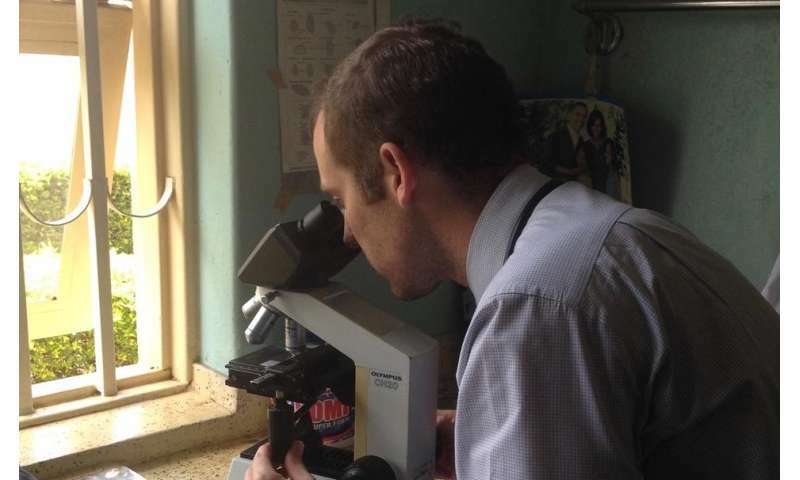 "Rapid diagnostic tests have been around for awhile, and are generally considered standard of care in most malaria-endemic settings," said Boyce. "However, what we've done is show that these relatively simple tests can be used in new ways to provide important information beyond just a positive or negative result. While it's not perfect, the approach could help first-line healthcare workers - many of who have no formal medical training - make potentially lifesaving triage decisions." Boyce said further work is needed to validate and operationalize diagnostic and treatment algorithms so as not to overwhelm fragile referral networks.